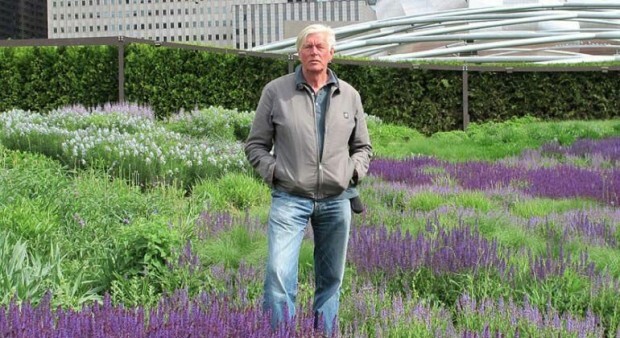 On Thursday, January 4, 7:00 p.m., the Garden Club of Michigan and Friends of Detroit Film Theatre co-host a special screening of “FIVE SEASONS: The Gardens of Piet Oudolf,” a new documentary about the internationally renowned Dutch garden designer and plantsman Piet Oudolf. Oudolf’s projects include The High Line (New York) and the Lurie Garden in Millennium Park (Chicago), as well as many others throughout the world. At the invitation of the Garden Club of Michigan, Oudolf has committed to design a garden in Detroit on Belle Isle. Piet Oudolf and filmmaker Thomas Piper will be present at the screening to discuss the Belle Isle garden proposal with audience members.